The ghetto is as much an intrinsic community of the United States as any other, yet it remains unique in its social and physical isolation from the mainstream. 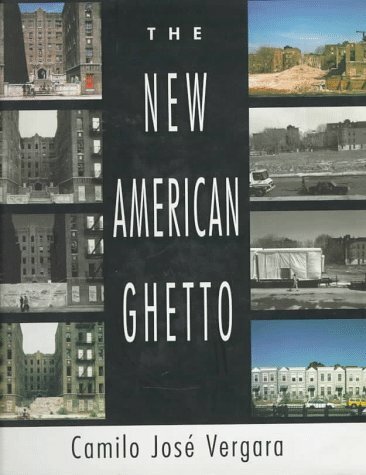 This book chronicles, in photographs and text, the transformations and upheavals which American ghettos have experienced since the explosive 1960s. Vergara has photographed many locations successively over time, illustrating very clearly the differences in the ghettos of today from those of the past. Travelling nationwide to New York, Newark, Los Angeles, Chicago, Detroit, and other cities, Vergara provides a provocative chronicle of this tumultuous element of American life.